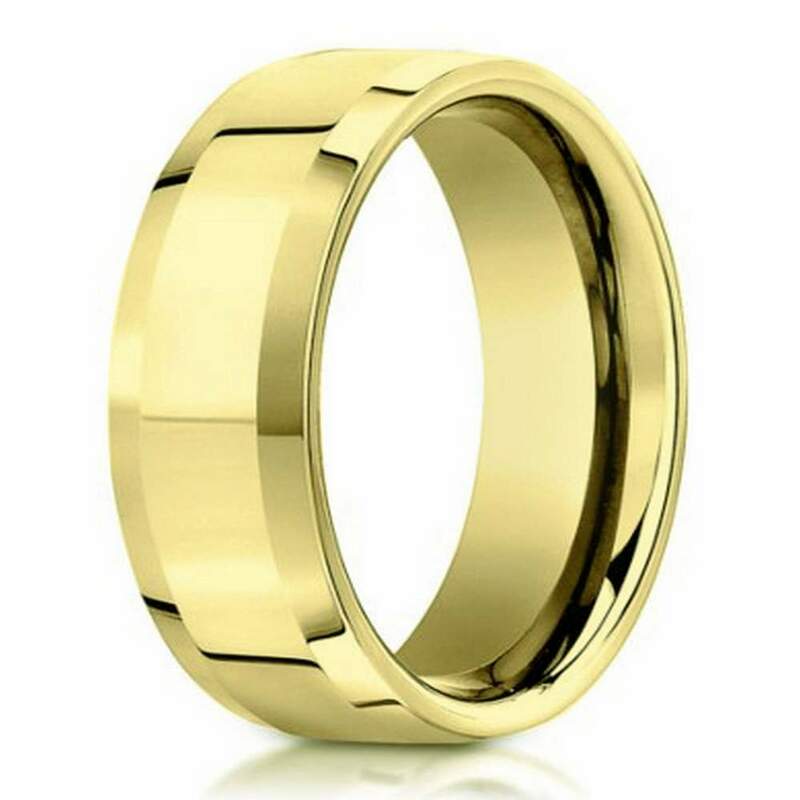 A polished finish highlights the rich beauty of 18K yellow gold in this modern yet classic men's gold wedding band. Measuring 4mm wide, this comfort fit designer ring has a contemporary flat profile framed by beveled edges. A manufacturer-issued Lifetime Guarantee makes this wedding ring truly timeless. Comfort fit rings usually measure 1/2 size smaller due to the additional metal inside the ring. We recommend having your finger measured for a comfort fit ring at your local jewelry store. Very happy with purchase, price and JMR...love the beveled ring, 18kt gold is brilliant...highly recommend them.